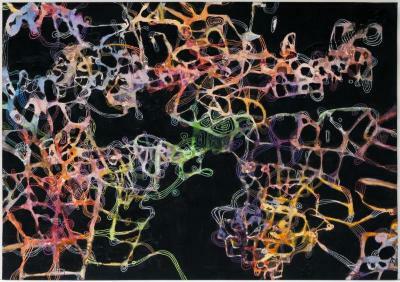 Emily Stern, Stringed Planets, Watercolor, flashe, and pen, 17 in X 11 in, 2004. 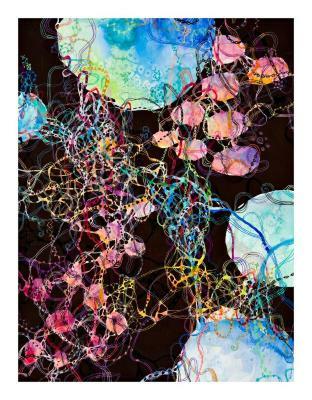 Emily Stern, Netted Planets, Watercolor, flashe, and pen, 13 in X 17 in, 2003. Emily Stern, Cat’s Cradle, Watercolor, flashe, and pen, 14 in X 20 in, 2002. 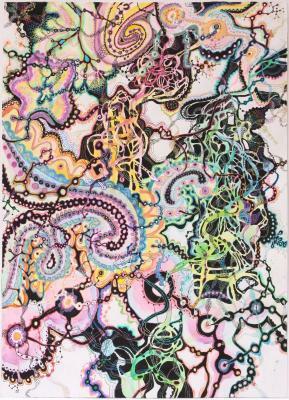 Emily Stern, Snagged in Space, Watercolor, flashe, and pen, 21 in X 28 in, 2005. 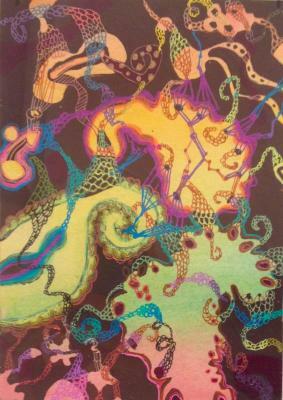 Emily Stern, Tentacle, Watercolor, flashe, and pen, 11 in X 14 in, 2005. Emily Stern, Untitled, Watercolor/gouache, 7 in X 5 in, 2008. 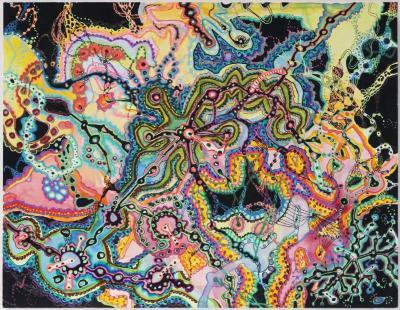 Emily Stern, Untitled, Watercolor and flashe on paper, X , 2009.